I stopped at t he fruit market yesterday morning on the way into the office, to pick up a couple of bananas. At the checkout I realised I had only big notes and the shop was only starting up for the day. To my surprise, the owner of the shop told me at the checkout, that I could just pop in the next day to pay. It was only a dollar or so but that gesture went a long way. This morning I made sure I went into the same shop and looked up the same guy and gave him the money as well as pick up more stuff from him. These simple acts of decency were little anchors of hope in this increasingly apathetic world we live in. It’s good to restore and maintain decent relations with another fellow human being. 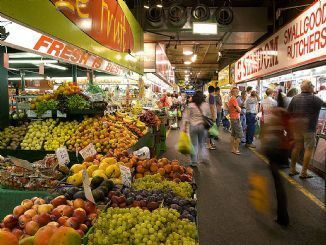 The shop is simply called Box Hill Fruit Market Pty Ltd – that would be the shop I would buy from whenever I am in Box Hill. Thank you Mr Proprietor, whose name I shall elicit soon.